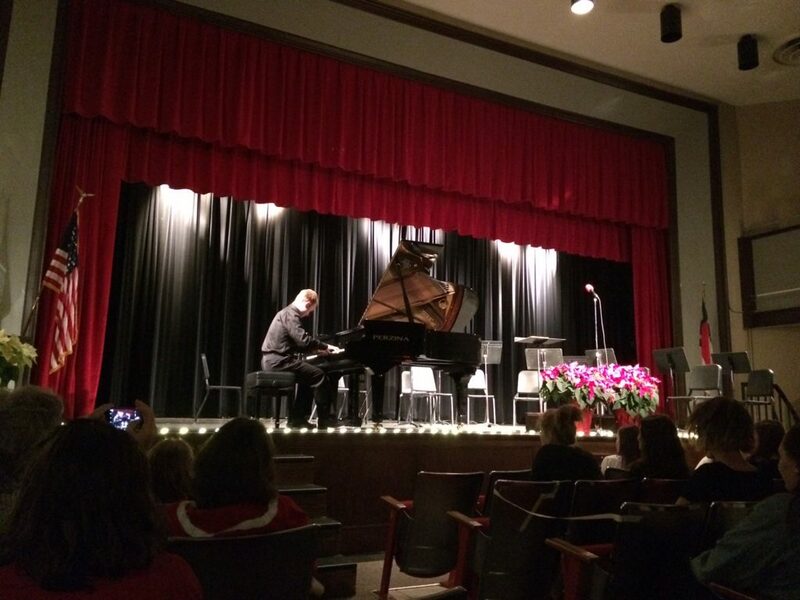 The “Winter Concert” at Hendersonville High School was a delight! 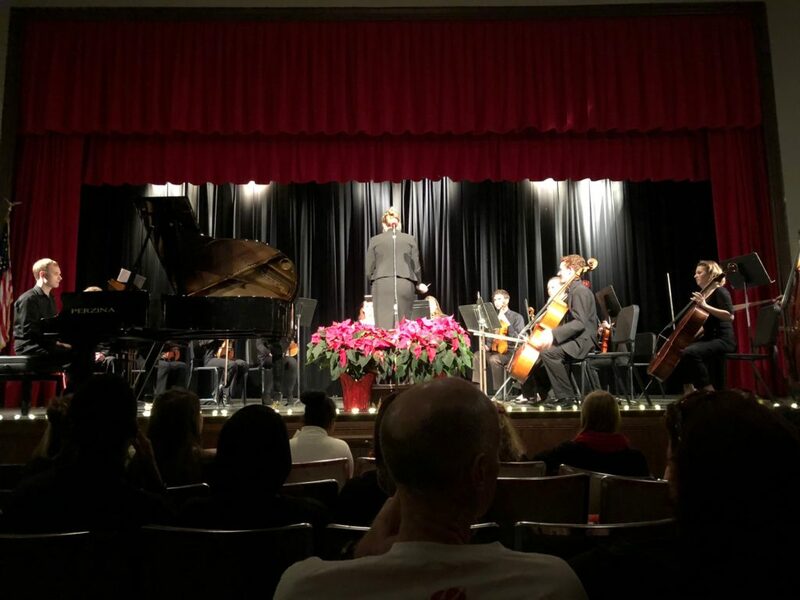 The high school orchestra and choir, under the direction of Ms. Amanda Tant, provided a lovely program of traditional and non-traditional music. I attended the concert because two of “my” special young men, who are both amazing musicians, were performing and I wanted to support them. Isn’t that why most of us go to high school concerts? We want to support those we love. Keith’s Dad used to say, when he was proud of one of his kids, that he was “bursting his buttons.” Well, MY buttons were bursting that night. My buttons were also bursting over senior Cole Jenkins. (Cole’s dad is part of our Freeburg Piano team.) 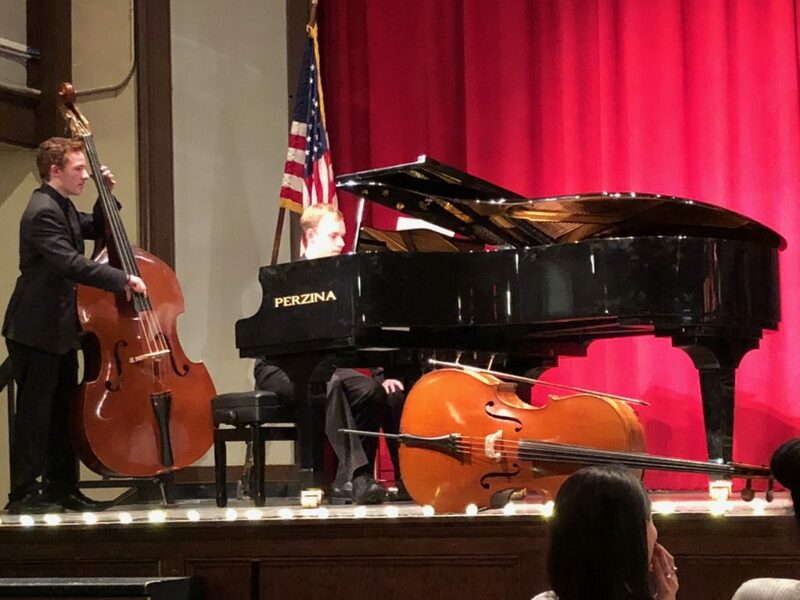 Cole played cello in the full orchestra, in the chamber orchestra and with two of the choir pieces (one on cello and one on double bass). He also performed a Popper cello solo. I really hope he’ll sing in the spring concert. He’s got a great voice. All of the students performed well but I want to mention one more “button-burster.” Several months ago, Cole introduced me to his friend Isabel Hughes. 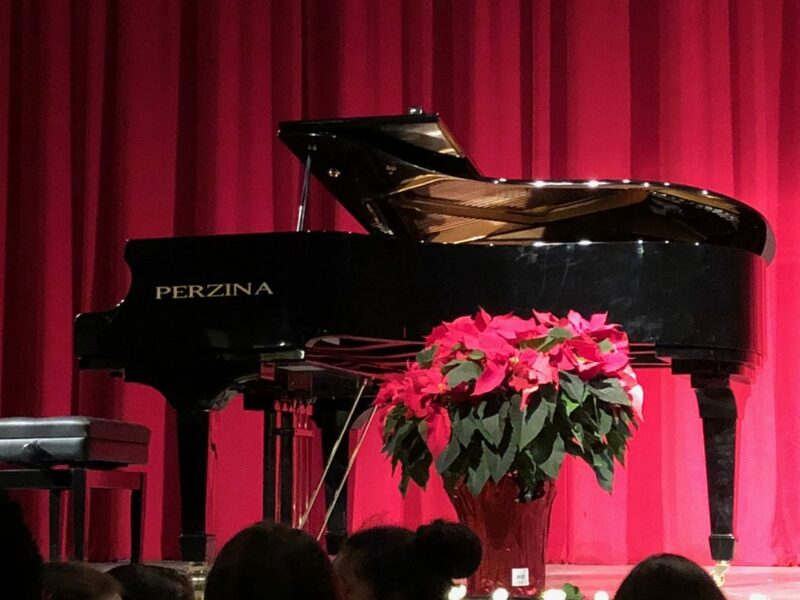 I’ve spoken with her several times, so I especially enjoyed hearing her sing a solo and with the choir but when she directed the crowd-pleasing finale, buttons were flying everywhere. If anyone wants my opinion, Isabel is a God-gifted, natural-born music director. Watching her reminded me of the enthusiasm, energy and expression of Whoopi Goldberg in the movie “Sister Act.” And, just like in the movie, Isabel’s choir responded. They did an amazing job of creating an Amazon jungle experience as they performed a very unique piece Isabel had learned at music camp. It was truly a delightful evening and when I thanked Ms. Tant, she responded, “I love what I do and I love my students.” I’m quite sure she was bursting her buttons, too. Another great blog. Looking forward to many more.